Beautiful collection you've got going there! Yep, these are great. What kits are these? cheers. Extremely nice! Thanks for sharing! Very nice. Tell us more about them. 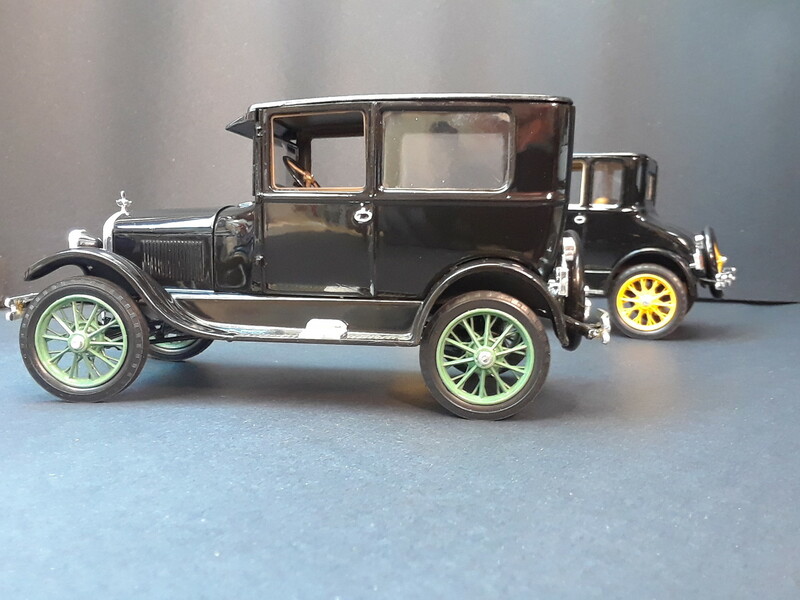 The Tudor is a combination of Revell Buttera '26 T street rod and AMT '27 Touring. For this one I used the Revell body, fenders, hood and grill shell. Everything else is AMT. It was a little tricky adding the bumper brackets to the Revell fenders, but not too bad. On some of the other conversions, like the coupe, I used the AMT hood and grille shell. If you go that way, there's some work in mating them up to the Revell cowl and fenders. The recessed firewall on the Revell body is replaced with the AMT stock firewall. The AMT chassis is easily adapted to the Revell fenders. 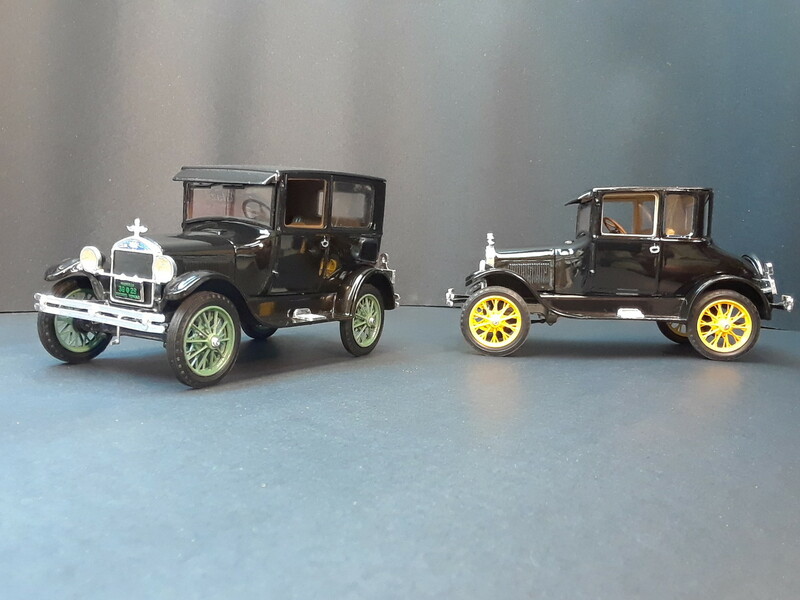 I still need to do a '26 Fordor. I've noticed that a Fordor cowl is actually different than the Tudor. It's shallower and the body is slightly longer from the A pillar to the very back.